I promise that I'll try to stay in the present, and that I'll ketchup as soon as possible if I fall back. I won't leave the OTT! Decree: Stay molpish, my friends! BlitzGirl wrote: It's a rabtor! ETA good luck to ZoomanSP! Oh my! azule knew about my signature idea before I even had it! Perhaps my future self referenced it, and azule interpreted it and Time Capsuled it so that the self that hadn't had the idea yet could see it after it had the idea, but before it future-referenced it? * Watches the disembodied head of Colonel Sanders float by, yelling "Everything you know is wrong!" Best of luck for everything, Zooman! I'm working on adding newpix thumbnails to Sand Monuments. And that crab is clearly speaking Beanish. balthasar, cute motipic. Plus, I think my girlfriend has that figurine. Don't you mean: molpify? Exactly. Now get back here and get in the kitchen and make me some pie cupcakes! Sexism for illustrative purposes only. And because I'm hungry! How could we not have a kit-chen? That's where the kittens work! Eternal Density wrote: How could we not have a kit-chen? That's where the kittens work! Eeeeeee!!! A delicious, swirling vortex of Deluxe Time Ripple has appeared before me... Within I see the famed BlitzGirl, the original Blitzer for whom all following Time Travellers like myself are titled "Blitzers"! She has bestowed upon me most officially the glorious title of Schrödinger's Gingercat, a term which I have used in self-description in my missives to the future... It seems that not only did they arrive there, but got the attention of so esteemed a personage. This is most fortuitous! "I present a present in the present, and this present is the was-present past, sent to the to-be-present future, which will become the present-present in which this presented present arrives, precisely when it means to." ...Even if this is Unlucky Post #13 for me, I am not bothered. I am a Gingercat, not a Blackcat. I am ever lucky. Hurray! I'm glad my temporal tactics worked. And ooh, a paradoxical present! As the Patriarch of the Western Paradox Church, I approve (or not). Gingercat wrote: ...Even if this is Unlucky Post #13 for me, I am not bothered. I am a Gingercat, not a Blackcat. I am ever lucky. Ah, that's right, you won't have met the redundakitties yet. They don't start appearing until the NP 900s. I think it might be Time that I did a brief catma (a coma for cats, you see). I read this as "Or the whole bunch of ceremonial puppies posted 2-3 litters earlier". I'd be concerned about going mad from the Revelations contained within the Past, but this cat is Ginger, not Cheschire So I'll attribute it to the Castleception I've been witness to thus far. BlitzGirl wrote: Edit: Othercomic is up. Gingercat wrote: I'd be concerned about going mad from the Revelations contained within the Past, but this cat is Ginger, not Cheschire So I'll attribute it to the Castleception I've been witness to thus far. Yep, that drove me a bit Mad when I blitzed it, too. "Oh, when you say real outside life you mean internet social sites. That's the same as when I say keyboard and I mean leopard." Ha! I love that OTTercomic. Gingercat wrote: * Watches the disembodied head of Colonel Sanders float by, yelling "Everything you know is wrong!" Glad you liked my OdeTiTy. A reference to Weird Al? Yay. BlitzGirl wrote: Ha! I love that OTTercomic. Thanks. I knew my raptorcat would win your favor. Raptorcat riding sounds like an ill-advised idea, but awesomefully cool at the same Time. @ED: What does "See Other" mean? BlitzGirl wrote: Holy ch*rp, I didn't realize SB was so popular, ED. Congrats! As a slight hint for what I did this wipend: ZOMBIES!!! is a brillilous game. Hmm, new ONGs. The rabtor is the rabtor of Caerbannog and will rip the troaths out of all others in this Molpies comic. The rotting corpses infect the rabtor wit typhus, thus the rabtor dies. Since there are no more living things, once the corpses have decayed the typhus also dies. Then the sun goes red giant and consumes the earth. Thus end the Molpies (assuming this is the Molpies). That rabtor looks riverish now. Maybe it's a baby? Version 0.2.2 of Time Drags On is up. It's more stable than it was, plus there's an endless epilogue mode. There's still some weird caching issue (I think it's taking too long) but otherwise no more headaches in the way of creating more panoramas and such. Will get to it. Molpy molpy molpy. Grapevine. Btw, I can't seem to spell gravepine. Or is it gravefine? BlitzGirl wrote: Raptorcat riding sounds like an ill-advised idea, but awesomefully cool at the same Time. So something hilariously molpoidal occurred recently but I can't show it until after StormAngels's birthdip. Which is conveniently tomorrip. There's no diamond saw. Yet. 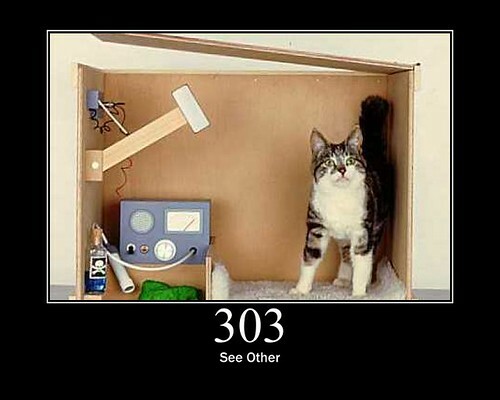 Hadn't heard of error 303 before, thanks for the explanation + meowlpy pic, ED! And yay, more Drag On Time! Thanks, azule. ETA2 prediction – yes, I know my record isn't too good: someone/thing about to enter the frame on the right hand side. I wonder if this is the fabled rabbird in it's rabbid form or just a regular Rabtor of Caerbanhog. It certainly looked raptorish (bird-like, for some heretical clarity) in the last frame. Who needs correct predictions? Puh, the OTC would have been very short if all of my predictions were true (also, someone would have had to resurrect them a dozen times). Oh, I think it is ending. Someone is yelling at me in Latin. It's been a long time since I heard the language, let alone spoke it. It's not like my interactions with humanity were exactly peaceful in those days. Mostly, I heard "help" "Stop burning me!" "run away!" and "For god's sake, I surrender! please don't kill me!" 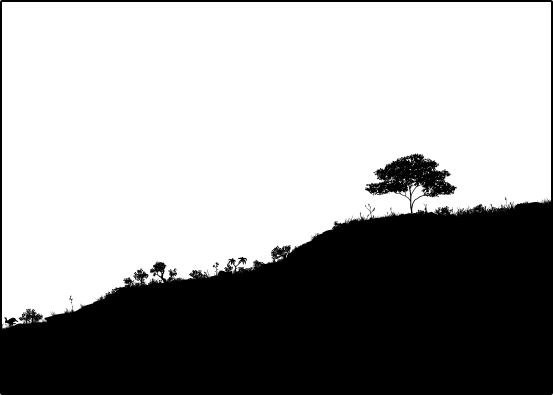 Edited to fix one replacedframe. Last edited by balthasar_s on Sat Jun 20, 2015 5:37 pm UTC, edited 2 times in total. As the passing asteroid blocks out the suns rays and plunges them into darkness they get eaten by a grue. Thus ends this frame.